The Vagabundos return to kick start the Ibiza season in real underground style. Cadenza selects the cream of their crop to represent the second mix compilation this year, with Cesar Merveille and Mirko Loko going head to head on this real connoisseur’s collection. Merveille’s mix begins with a real nugget from label boss Luciano, and his remix of Tim Wright’s ‘Thirst’, ploughing right into a deep and distinctly underground house sound, with raw productions from the likes of Daze Maxim, Rob Mello’s remix of Losoul, and Roustam. Merveille’s own mix of Afriqua provides a turning point on the mix, ushering in a psychedelic and melodious passage, magnified with the superb Ricardo Villalobos remix of Envoy. Tracks from Delano Smith, Ultrasone and Merveille & Crosson wrap up a consistent yet varied selection of music from Merveille that sets the perfect tone for the continuing disc. Mirko Loko has been one of Cadenza’s over present figures over the years, with his style leaning towards the otherworldly vibes of the Detroit pioneers, and his Vagabundos mix definitely reflects this love of melancholic electronic sounds. Eduardo De La Calle’s minimal and tweaky opener sets the course for a playful delivery of fine tracks from Matthew Dear, Roy Ayers (the terrifically tribal Ame remix of Tarzan) and the old skool Chicago flavour of Tevo Howard. Mirko also airs an exclusive cut from the compilation’s other selector; Cesar Merveille’s ‘DEA’ exemplifying the term ‘hypnotic’ perfectly. Mirko digs deep to revive the Anada Project’s stone cold classic ‘Cascades Of Colour’ (the Danny Tenaglia edit here of the Rui Da Silva/Saffron Remix), keeping the late night vibe with offerings from Pig & Dan, Carl Craig’s remix of Mirko’s own ‘Love Harmonic’ and throwing in a double whammy of original Chi-town grooves from Master C&J and Virgo, finishing on the gorgeous melodies of Chateau Flight. Previously, Cadenza’s young guns Argy and Andrea Oliva showed us a romping party mood on the first Vagabundos compilation back in March, and on this volume, Cesar and Mirko take us on a deeper journey, all the while delivering a solid double disc album of the best contemporary grooves and some forgotten classic from yesteryear. 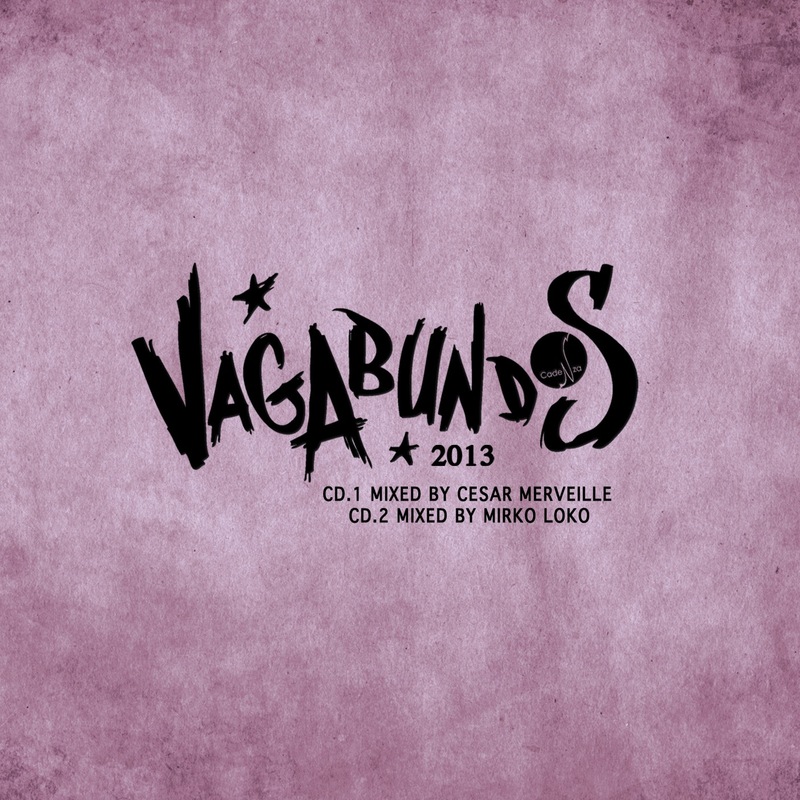 Vagabundos 2013: Volume II - Mixed by Cesar Merveille | Mirko Loko, is released in July on 2CD, digital album, and special 12" vinyl sampler.